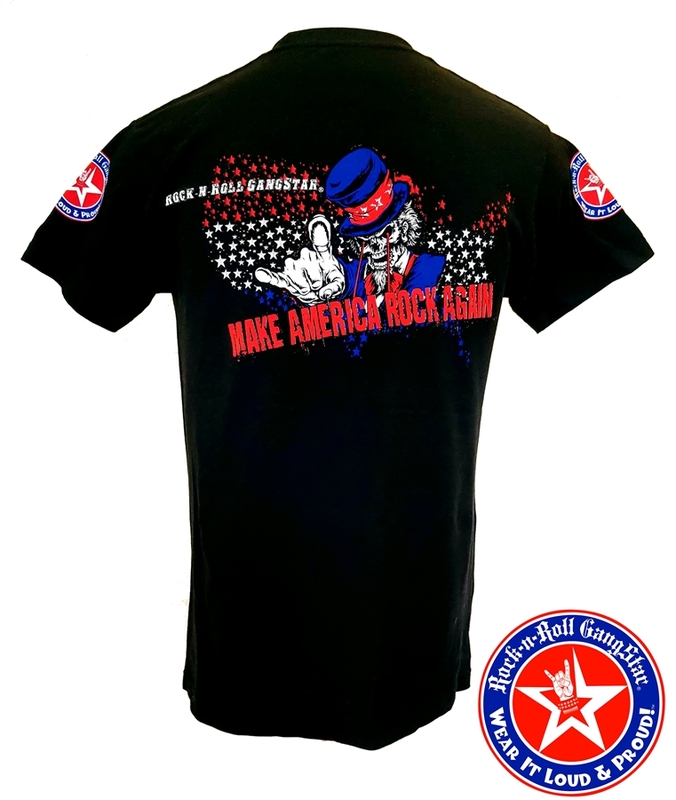 Version 2 of our Uncle Sam design with slogan: " Make America Rock Again"! 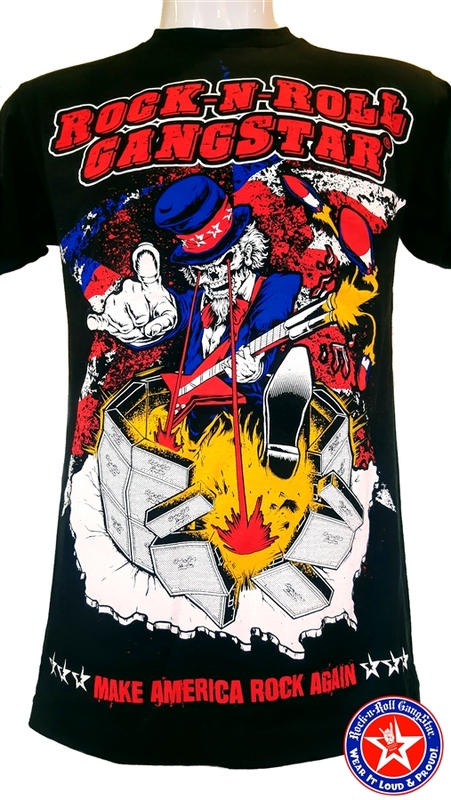 Our Uncle Sam is laser focused and destroying a wall of guitar amplifiers surrounding the United States of Rock-n-Roll America! 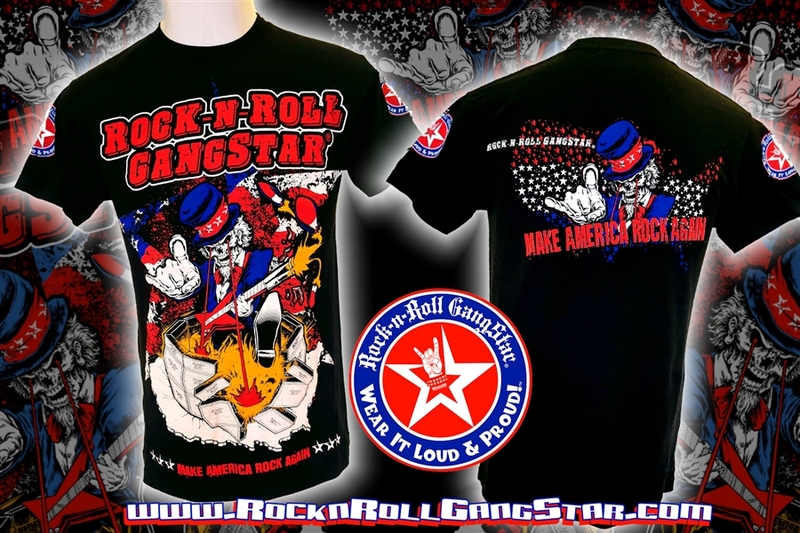 Killer detailed artwork & a theme that represents The Spirit of Rock n Roll & Heavy Metal. 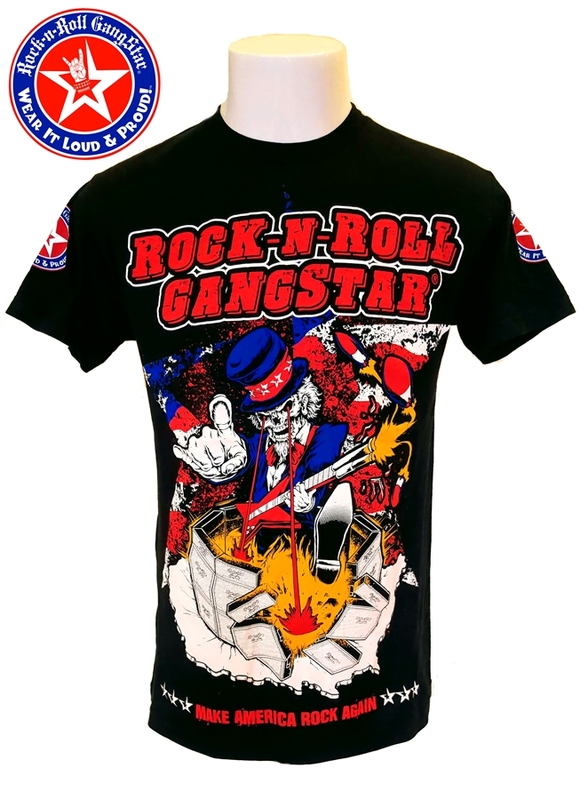 The perfect 4th of July t-shirt! 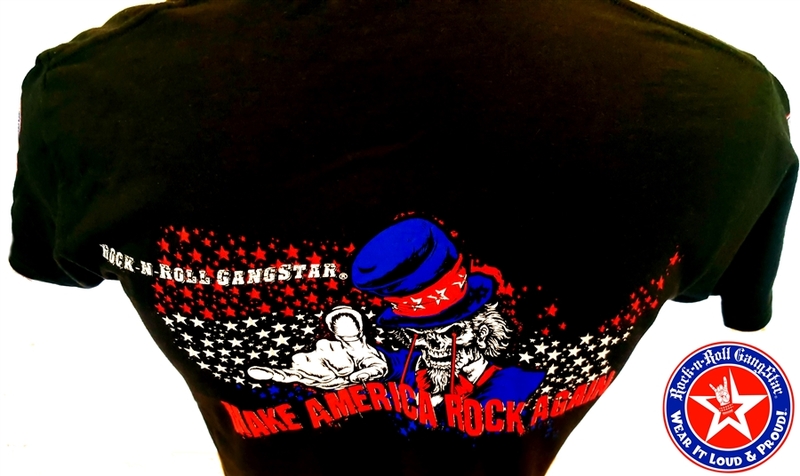 Front print: Uncle Sam - USA - "Make America Rock Again!" slogan. Shoulder print: Rock-n-Roll GanhgStar " Wear It Loud & Proud! 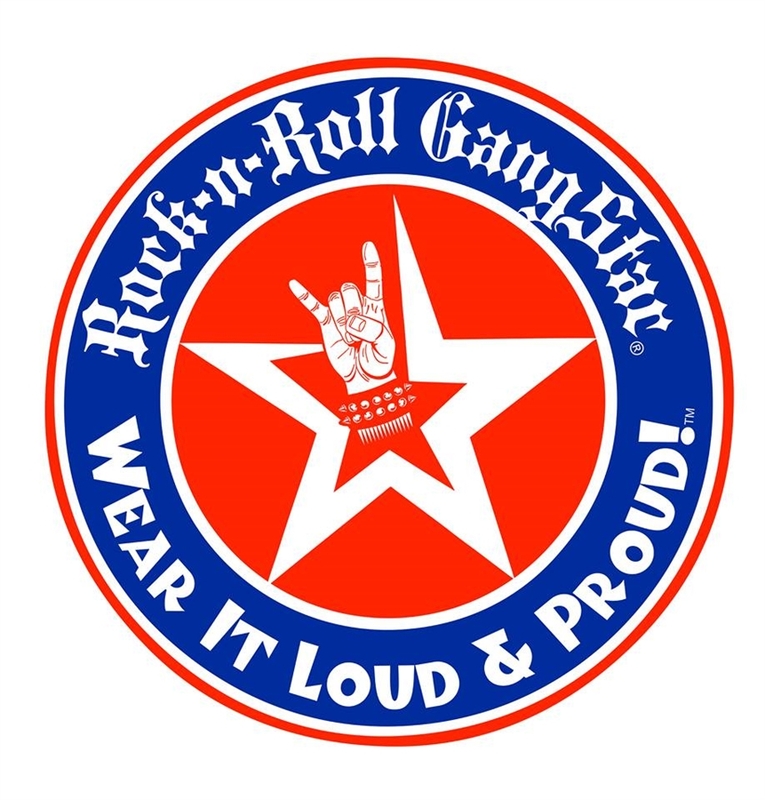 logo in red, white, & blue. 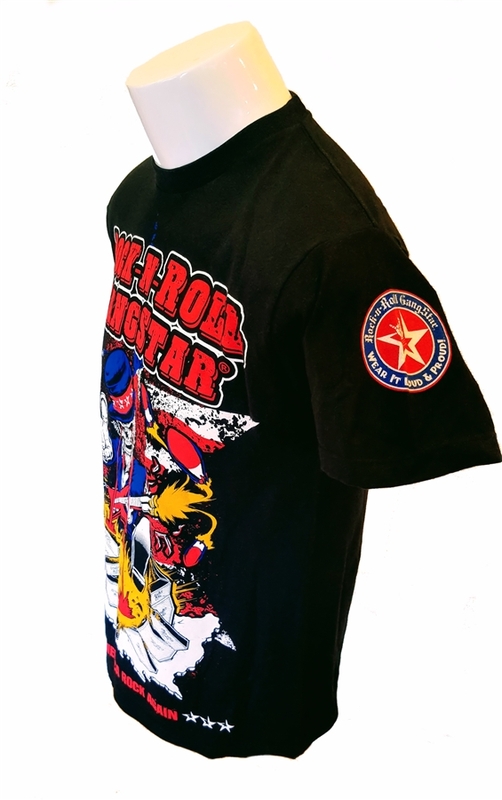 Color: Black with red, white, & blue print. 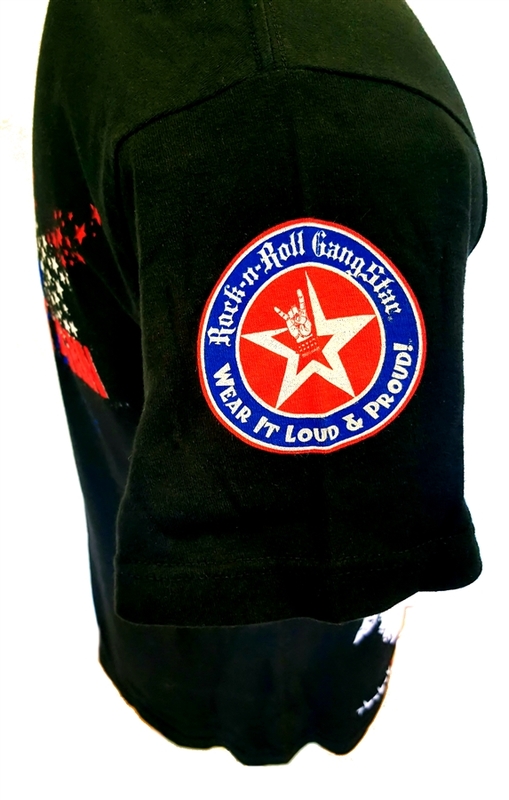 100% super soft ringspun cotton. Lightweight and breathable. 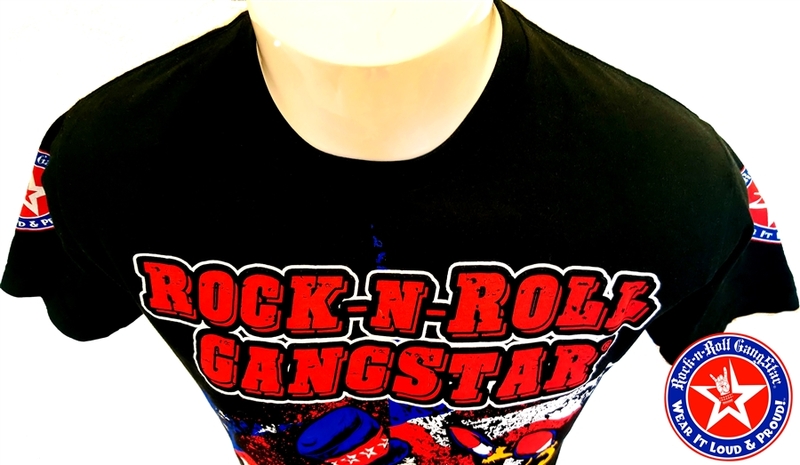 Our printing & processing makes the design & fabric totally soft to the touch. 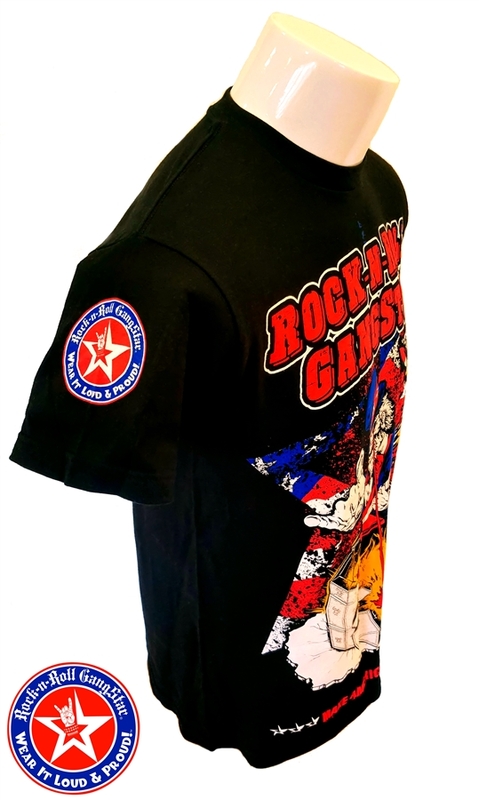 A high end shirt at a price you can afford.